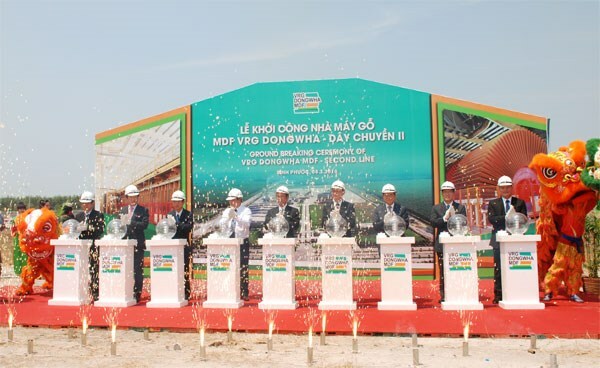 Binh Phuoc (VNA) – VRG Dongwha JSC, on August 28, put into operation a 70 million USD medium-density fibreboard (MDF) plant in the southern province of Binh Phuoc. The facility, the second phase of a project by the company, spans 6.4 hectares with an annual capacity of 180,000 cubic metres of MDF. The entire project, with a total investment of 4.85 trillion VND (213.4 million USD), is now capable of producing 480,000 cubic metres of MDF per year.